This Beautiful Species, appearing as a white waterfall of cascading icicles, is found on broad leaf tress and logs. 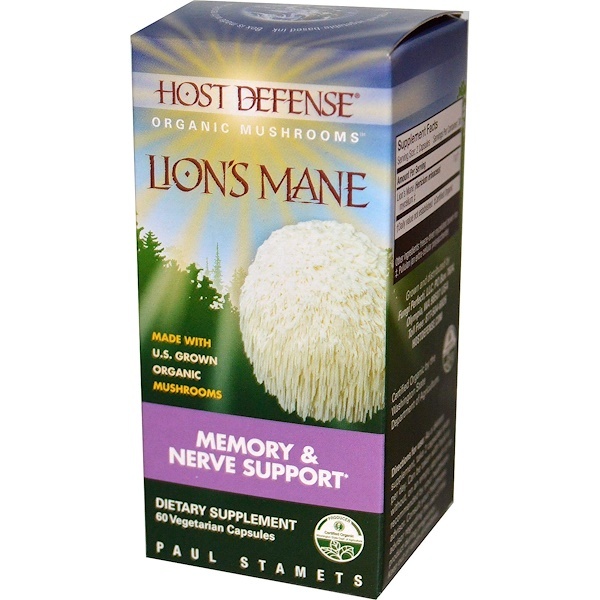 The subject of recent studies, Lion's Mane is renowned for providing support to the brain and nervous system. 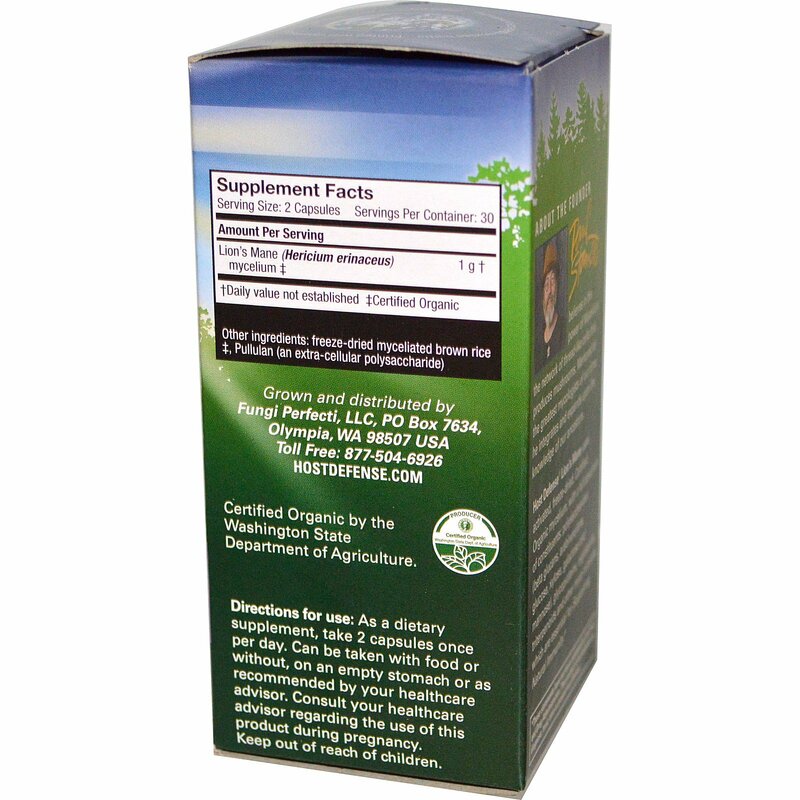 Paul Stamets believes in the powder of Mycelium, the network of thread-like cells that produces mushrooms. Mentored by the greatest mycologists of our time, he integrates and expands upon the knowledge of our ancestors. Host Defense Lion's Mane uses activated, freeze-dried, Certified Organic mycelium, with a full spectrum of constituents: polysaccharides (beta glucans, arabinoxylane, glucose, xylose, galactose and mannose), glycoproteins, ergosterols, triterpenoids and other-myco-nutrients, which are essential for Supporting Natural Immunity.